Elliott Forrest is a Peabody Award winning Broadcaster, Producer & Director. He can be heard on 105.9 FM WQXR and WNYC in New York. He is heard nationally as the radio host of the syndicated concerts from The Chamber Music Society of Lincoln Center. For WQXR he produced and hosted, THE WQXR CLASSICAL COMEDY CONTEST at Carolines on Broadway, which was also shot for WNET Ch. 13 in NY. Hosts the national broadcasts of SPRING FOR MUSIC live from Carnegie Hall, where he has appeared more than 60 times. His first radio job was in his hometown of Midland, Texas on KNFM. He went on to work at Kansas City's KXTR-FM, (where he was also Program Director); WEVD, NY; and WKJY, Long Island. Elliott directed the "fusion oratorio" CONSIDERING MATTHEW SHEPARD by Craig Hella Johnson and Conspirare for KLRU, PBS TV in Austin. The special airs in 2018. He produces projections, lighting and theatrical elements for major orchestras around the country including the Los Angeles Philharmonic, The Philadelphia Orchestra, The Houston Symphony, the New York Philharmonic, The Atlanta Symphony, The Pasadena Pops and the Little Orchestra Society in NY. You can some of the latest concerts at www.SymphonicSpectacular.com . THAT'S CLASSIC, the WQXR CLASSICAL COMEDY CONTEST appeared on WNET CH. 13 and WLIW21. 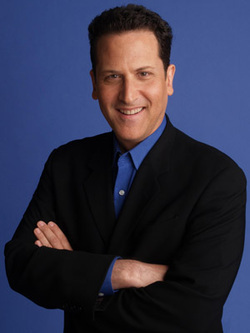 In 2013 & 2007 he co-hosted the GREAT MOMENTS AT THE MET, a national television special and in 2008 "The Jewish Americans". A popular voice over artist, he has recorded national and regional commercials, documentaries, industrials and several on-board programs for airlines. Recent voice over work includes narrations for HBO's G-String Divas and Heir to an Execution. Over the years, Elliott has been a host, moderator, guest speaker and lecturer for scores of events, shows and galas. He hosts the regular concerts on stage, including 60 concerts at Carnegie Hall. In December of 2005 he moderated a panel in Las Vegas in front of an audience of thousands on Deep Vain Thrombosis for a major pharmaceutical company. And in January of 2006 he hosted the opening concerts of the new Globe-News Center for the Performing Arts in Amarillo, TX. Originally from Texas, Elliott received a Bachelor of Arts in Drama from the University of Texas in Austin. He is on the board of The New York Youth Symphony.